Yes Music Podcast listeners' champagne moments! After a fantastic response from listeners, I have been able to put together a great episode. 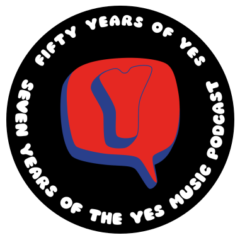 Listen and find out what your fellow Yes fans consider to be the best moments of Yes music – the moments which remind them why they love listening to Yes – their ‘champagne moments’. Thanks so much for the comment, Paul. It’s great to hear your Champagne moments. Seeing the band in their prime must have been amazing. Please keep listening! Inspiring episode Kevin! I was wondering how you’d be able to pull it off without including sound clips, but I guess there’s no need since we all know the songs so well! Thanks, Ben! Yes, I am very fortunate to be able to rely on the knowledgeable and passionate listeners to the YMP! Great to have you along for the ride, as always. I hope you have an even more successful 2012.